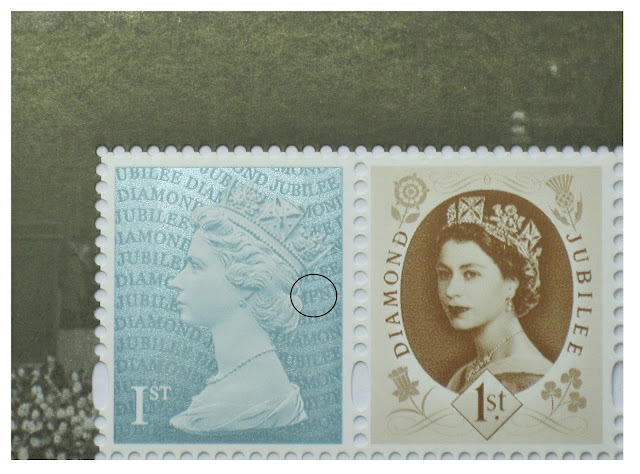 I should have provided these Diamond Jubilee PSB images much earlier, my apologies to Chris who sent them on 2 June. The first shows clearly the MPND code on the Jubilee Machin from the 31 May PSB. 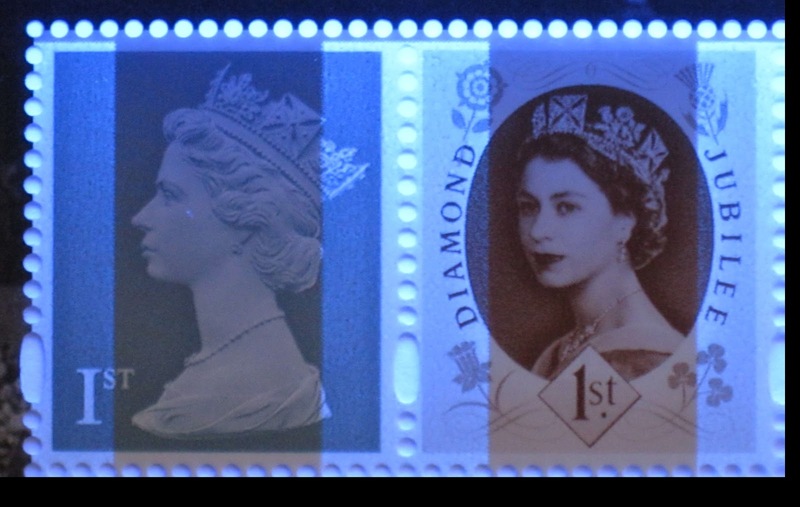 The other shows phosphor bands well clear of the perforations on the definitive pane in the booklet. In my experience the shortness at the top is not matched by phosphor over-running the perforations at the foot of the pane, so the overall height of the phosphor band is less than the gap between the perforations. If I could scan like this I could tell whether our stock is really as short as that!